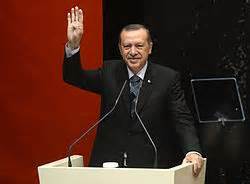 If the leaders of the Kurdish party in Turkey (HDP) do not make any announcement within a few hours of this coup than expect them to be dead shortly unless they have escaped Turkey. CHP leaders may be in prison within few hours if they have not been arrested shortly. Even tough Turkey has 39 opposition parties in Turkey, non-have made any statements. The only opposition that will remain in Turkey after this Coup is the MHP as a token opposition party. The leadership of the MHP being deposed by internal opposition triggered this coup. All internal opposing within MHP will also be arrested. The loss of MHP leadership would have cost AKP the majority in the Parliament. This is the reason why a Coup by RTE makes sense to create a new constitution to make himself possible President for life. There are multiple historical precedence for staged coups to retain power. We ask our readers to look at a few of them on open source.